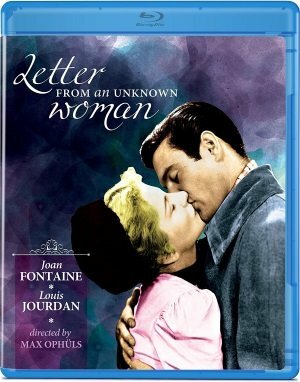 Letter from an Unknown Woman (Olive Signature, Blu-ray) (1948), the second Hollywood film by European émigré Max Ophüls (who was credited as Opuls on his American movies), is his first American masterpiece, an exquisitely stylish romantic melodrama (based on a novel by Stefan Zweig) informed by his continental sensibility. “By the time you read this letter, I may be dead,” reads aging bon vivant Louis Jordan from a letter found in his tiny hotel room. Hair tousled and tux tired from yet another night of meaningless flirtation, he’s startled by these opening lines and suspends his preparations to flee a duel to read the history of a love affair that he can’t remember. For the rest of the film we’re transported to the life of Joan Fontaine’s awkward young Viennese woman, hopelessly enthralled by the dashing pianist from adolescence and momentarily his lover, the emotional pinnacle of her life but for the philandering rogue simply another fling in a blur of women passing through his bedroom. 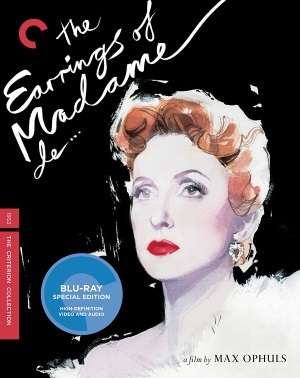 The European films of Max Ophuls are elaborate dances of romance and seduction in a world of social constraints and fickle lovers, and his 1953 The Earrings of Madame de…, considered by some critics one of the perfect pictures of cinema, is the most elegant of these melancholy waltzes. And it is amazing, a piece that is not just directed, not just choreographed, but sculpted, with actors and décor as the raw materials and the camera carving out the story in time and space and black and white. Danielle Darrieux is the Madame de… of the title, an old-world socialite in 19th century Paris in a marriage of convenience to confident, cultured diplomat Charles Boyer. She plays the Countess as a supremely poised actress who stages her own personal dramas for effect, such as fainting to force the sale of the earrings, or to stop a confrontation at a dance. Boyer gives the most delicate and nuanced performance of his career as the General, the very picture of a cultured gentleman at ease with social convention and manners, the confident, smiling high society habitué. Together they master the illusion of the perfect social pair while spending their free time dallying with flirtatious suitors and casual lovers, but the illusion is shattered when the Italian diplomat Baron Donati (Vittorio De Sica) enters the picture. When Max Ophuls died in 1957, his friend and collaborator Peter Ustinov (Le Plaisir‘s narrator, Lola MontÃ¨s‘s Ringmaster) described the director as “a watchmaker intent on making the smallest watch in the world and then, with a sudden flash of perversity, putting it up on a cathedral.” One takes issue with Ustinov’s somewhat condescending adjective–“smallest”–but the metaphorical connection of watch and cathedral is wonderfully resonant as a key to Ophulsâ€™s movie metaphysics. As a film artist, Ophuls can be compared to God as watchmaker, designer of exquisite cinematic mechanisms–set in motion in fin-de-siÃ¨cle Vienna or contemporary La-La-land or timeless Paree. That irresistible motion makes Ophulsâ€™s world go round, carries his actors–and his audience–away, traps or transforms all those who dance to his Mozartian music. Circles that count time, watches suggest the little round of human life, the turning of the earth, the unreeling of a film. 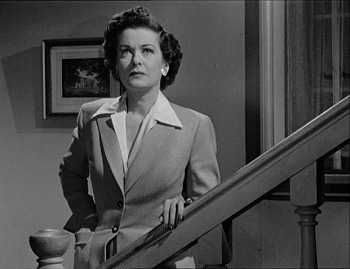 Timepieces are significant plot devices in Ophuls’s films, which often revolve around star-crossed lovers–and repeated variations on the question “What time is it?” signal ever-pressing mortality, as well as the worldly duties that so regularly interrupt or end transcendent affairs and assignations. 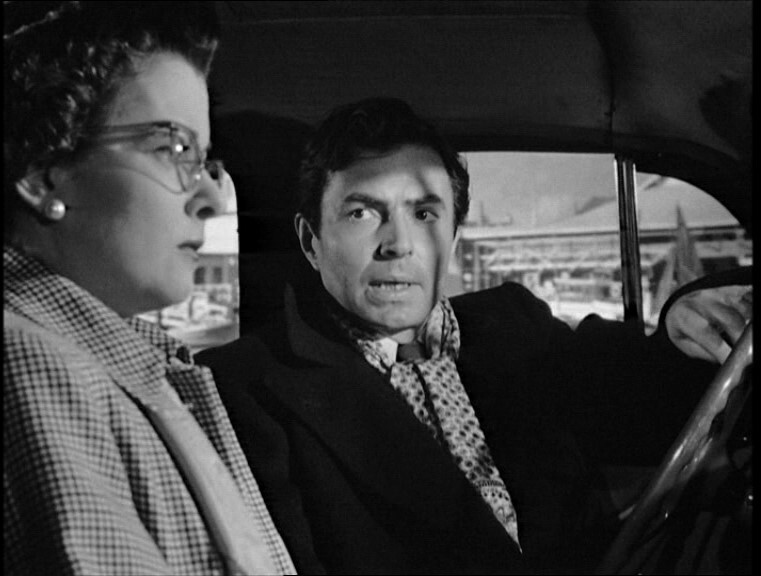 A friend once described Ophulsâ€™s elegant cinematic excursions as â€œtracking eternityâ€; it is the directorâ€™s famously long, complex, beautiful tracking shotsâ€”and the power of his loversâ€™ emotionsâ€”that carry them (and the willing viewer) out of time. In The Earrings of Madame deâ€¦, Ophulsâ€™s masterpiece, that inexorable, voluptuous camera movement constitutes the film, a life, the transformation of a beautiful woman from ornament to essence. Madame deâ€¦â€™s pilgrimage ends in an empty cathedral, architecture which rises up to eternity. Liebelei (1932), La Signora di tutti (1934), Letter from an Unknown Woman (1948), Caught (1949), The Earrings of Madame deâ€¦ (1953), and Lola Montes (1955) all contain Ophulsian heroines who are ensnared and sustained by seductive images of earthly pleasures, or fall from the glittering merry-go-round of the worldâ€¦into eternity. Falling in love, plunging from social grace, flinging themselves out windows, jumping from the heights of circus tentsâ€”these courageous or despairing acts are leaps of faith, leaps into the void. By an act of pure will, Ophulsian women often seek to transmogrify the unsatisfying stuff of ordinary life into art. Their obsession–or talent–drives them to sanctify or aestheticize their experiences, mining metaphysical significance from the mundane. But sometimes the machine breaks down, and beauty is ground up in perpetual motionâ€”like Gaby Doriotâ€™s movie-star portrait endlessly reproduced on the drum of Il Signora di tuttiâ€™s printing press.